Mijune Pak (Emcee and Judge) – Born and raised in Vancouver, Mijune is an international food personality and creator of FollowMeFoodie.com. Featured as one of “The World’s Most Extreme Foodies” in The Sunday Times and named “Must Follow” by The Social Media Awards, she joins Food Network Canada’s Top Chef Canada as resident judge. She is also a judge for the BC Product of the Year Award and The Canadian Grand Prix New Product Awards. 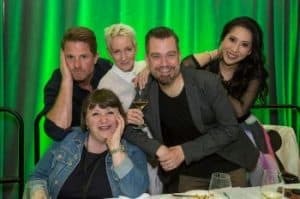 As the youngest and first social media influencer to be invited to join the BC Chef’s Association’s Board of Directors (April 2012 – June 2014), Mijune also had her own “Follow Me Foodie” column in the WE Vancouver newspaper. Mijune makes regular appearances on CTV Morning Live, and has appeared on Breakfast Television, CBC TV’s “Our Vancouver”, Zagat, OpenRoad Driver, BC Living, The Vancouver Sun, The Now Newspaper, Metro News and various other media outlets. 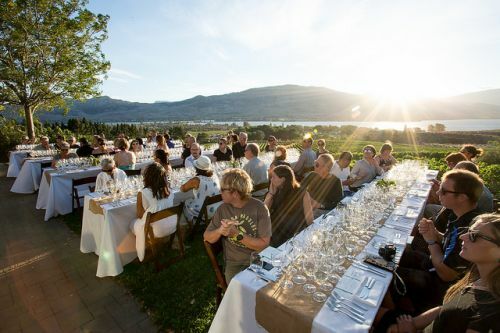 In the lead up to the Wines of British Columbia‘s Chef Meets BC Grape multi-city event series and the largest tasting of BC VQA Wine and food in Western Canada, we interview some of the most talented wine and food personalities in Western Canada. With Valentine’s Day around the corner, we speak with Food Network Canada’s Top Chef Canada resident judge and Vancouver blog-turned-international sensation Follow Me Foodie’s Mijune Pak on her perfect Valentine’s Day wine pairing. Wines of British Columbia: What is it about BC Wine Country that says romance? Mijune Pak: A lot of locals have a soft spot for BC wine and not only because we want to support local, but because it’s not necessarily the “obvious choice”. We’re not Spain, Italy, or France, and we don’t try to be. We don’t produce as much as they do and we don’t have the same terroir or culture. We’re doing our own thing up here and doing it very well. We’re not only committed to the craftsmanship, but to the sustainability. We’re unique – a charming northwest secret – and that’s romantic. Wines of British Columbia: What BC Wine and food/dish would be the ultimate Valentine’s Day pairing for you? Mijune Pak: My ultimate pairing would be very specific to a recent culinary event. Chef Alex Chen at Boulevard represented BC at the Gold Medal Plates and brought home the gold. I was lucky to try his finale dish during practice runs and his seafood chowder, with caviar and bullskelp brioche paired with Sea Star Vineyard’s Ortega from the Gulf Islands is a stunner. Unfortunately, we don’t all have an Alex Chen in our kitchen, but we do have many BC wines that are bright, crisp and lovely with most seafood. During these colder months we tend to reach for reds, but this white is good year-round. 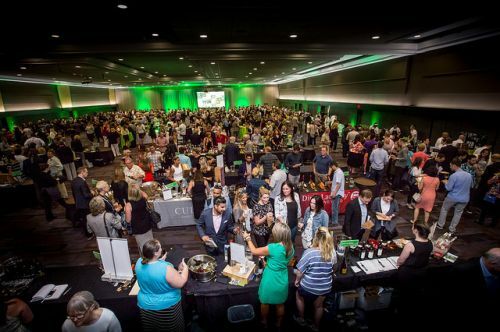 Wines of British Columbia: What are you most excited about for emceeing this year’s Chef Meets BC Grape? Mijune Pak: It’s truly a spectacular event and I’m thrilled to be asked to emcee it again. Sometimes you forget how many wines and wineries we have in BC and it’s impressive to see so many in one room. 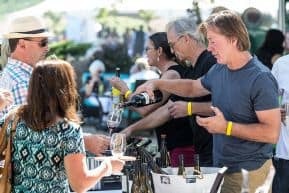 At last years’ events, I was introduced to some really cool boutique wineries and “next generation winemakers”, and everyone is just enthusiastic to showcase their product. Besides the wine, of course I can’t leave out the food. There is so much talent, passion and inspiration in one room it’s contagious. I also just love meeting people and hope to see a mix of new and familiar faces again this year. Please, come say hi! Since I’m emceeing, I’m hard to miss! For a limited-time only, take advantage of the Wines of British Columbia‘s Valentine’s Day special promotion, and treat your loved one to the largest tasting of BC VQA Wines in Western Canada and small plates from the top local restaurants in Vancouver, Calgary and the Okanagan Valley. 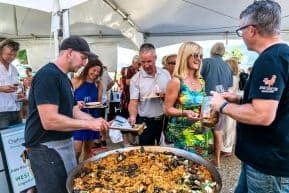 Three outstanding Chef Meets BC Grape events in Vancouver, Calgary and the Okanagan Valley offering an exceptional experience, bringing together award-winning BC wineries and top celebrity Chefs from across Canada.